Sorolla is best-known for his dexterous representation of people and landscape under the bright sunlight of his native land. His influence on other Spanish painters, such as Alberto Pla y Rubio and Julio Romero de Torres, was so noted that they are described as ‘sorollista’. 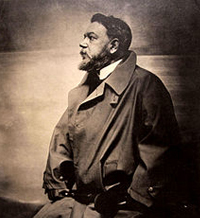 About the artist: Joaquín Sorolla (1863 – 1923) was a Spanish painter. He excelled in the painting of portraits, landscapes and monumental works of social and historical themes. Sorolla did not have an easy start in life. In August 1865, he and his younger sister were orphaned when their parents died, possibly from cholera. They were thereafter cared for by their aunt and uncle. Sorolla painted two of his most famous works, considered by some as masterpieces, in 1897, linking art and science: Portrait of Dr. Simarro at the microscope and A Research. In the same year, they were presented at the National Exhibition of Fine Arts in Madrid, and Sorolla won the Prize of Honor. The themes of sunlight and the great outdoors are prevalent in the majority of Sorolla’s works. Not only did his daughter pose standing in a sun-dappled landscape for María at La Granja (1907), but so did Spanish royalty for the Portrait of King Alfonso XIII in a Hussar's Uniform (1907). After his death, Sorolla’s widow left most of his work to the Spanish public. The paintings eventually formed the collection that is now known as the Museo Sorolla, which was the artist’s house in Madrid. The museum opened in 1932.